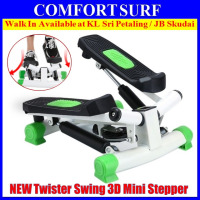 This is super-resistance twister 3D swing stepper, great strides while also wriggled thin, bring better effect. The best swing stepping fitness fashion choice! 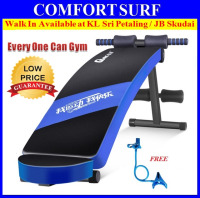 This stepper come with excellent product structure, equiped with two hydraulic buffer rod which can elimination of kinetic Joint friction (on knee) during trainning, and more beneficial to bones and muscles stretch. 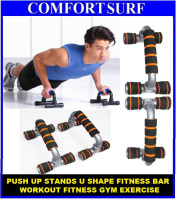 It is Flexible exercise: You can perform the exercise during watching TV, listen to music, phone calls while completing many parts of the body to burn fat, so you do not have busy work out of time devoted to the gym. At home, you can easily achieve fitness weight loss goals. As long as we use 15 minutes a day, you can keep your existing perfect body, 30 minutes of exercise is equivalent to jogging three hours the consumption of fat! Burn fat at the same time, help you create an elegant figure! Not only that, it help to tighten the buttocks, thigh muscles, create a full upturned buttocks curve and charming even legs. It also Attached to LCD Display monitors, best help for your campaign management. 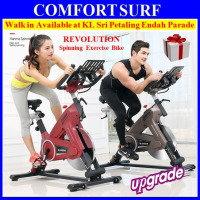 You can adjust the exercise intensity, by step in front of foot pedals to increase the exercise intensity. 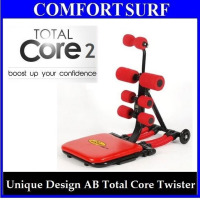 Have wriggled function - to strong lower abdomen and waist, abdominal waist shaping moving. With hip function - to firm buttocks, the curve shape Jianting beautiful hips. 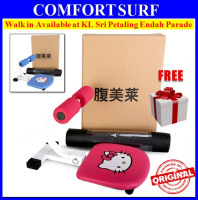 Have stepping function - strong legs, attractive uniform shape seductive legs. No complicated installation, just remove the stepper out of box and it ready for exercise. Simple and easy. It does not occupy space, easy collection. You May Also Like To See Below Advance Stepper..